I am inspired by Marcel Mauss book “Gift”1923 which notes the expressions of love that helps balances the power of relationships in the tradition of reciprocity and gift exchange. The expression of universal love and gift giving is a part of the unwritten social contract that embodies strong cultural, socio-political, and economic codings. 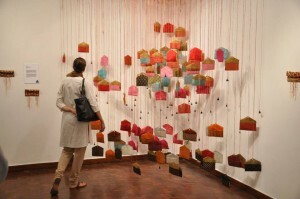 I am fascinated with the idea of embroidered geometrical designs, thereby, expressing love in matrilineal fashion in the traditional patriarchal society and further exploring the same idea in today’s contemporary world with gender equation altering traditional dynamics –familial,societal and cultural. To further explore, the other traditions of gifts , ‘give & take’ like monetary shagun, as blessings to loved ones in decorative handcrafted envelopes. Symbolically, the exchange of ‘shagun envelopes’ occurs during all auspicious family events from illness until the last journey of death. A contemporary dialogue where mothers and grandmas cook home food, sent in Tiffin’s across the metropolis ensconcing their loved ones in the warmth of their love and care. I propose to utilize phulkree chadder (sheet) embroidery and brocade envelopes engaging in the historical and cultural tradition of embroidered textile and shagun envelopes that is given to your loved ones at the time of celebrations. 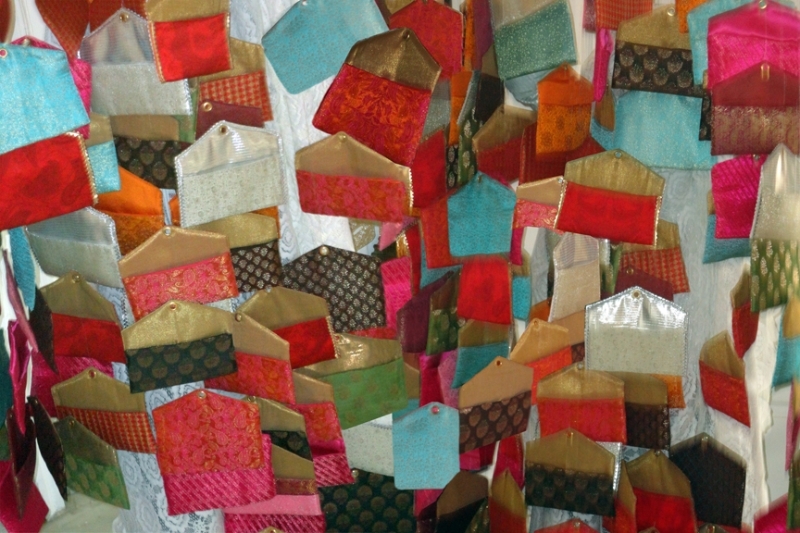 The interconnection of traditional textiles and the contemporary dialogue of Tiffin are engaging in the universality of love and care packaged contrastingly at different periods of time.Taking inspirations from the “shagun envelopes’(sample images below), I propose to create a Mobile- a site specific installation app 7-8 feet high x 5ft wide with101 envelopes 7x4inches each (batuhas) of silk brocade fabric textiles hanging from the ceiling attached with decorative thread(Gota silver and gold)) used for joyous occasions. My passion for creating textile artwork performs a great sense of preservation/conservation of the technique . I am always striving to document the heritage art which is historically meaningful by giving a contemporary visual interpretations within my art practice.